Would you like to make some permanent lifestyle changes, get healthier and live the life you want for yourself? 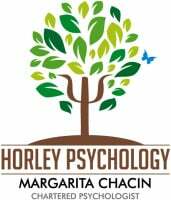 Horley Psychology invites you to the Weight Management Programme. We want to help you to achieve healthy changes that are sustainable for the long-term. Weight management is not just about losing weight but maintaining the weight that you have lost. 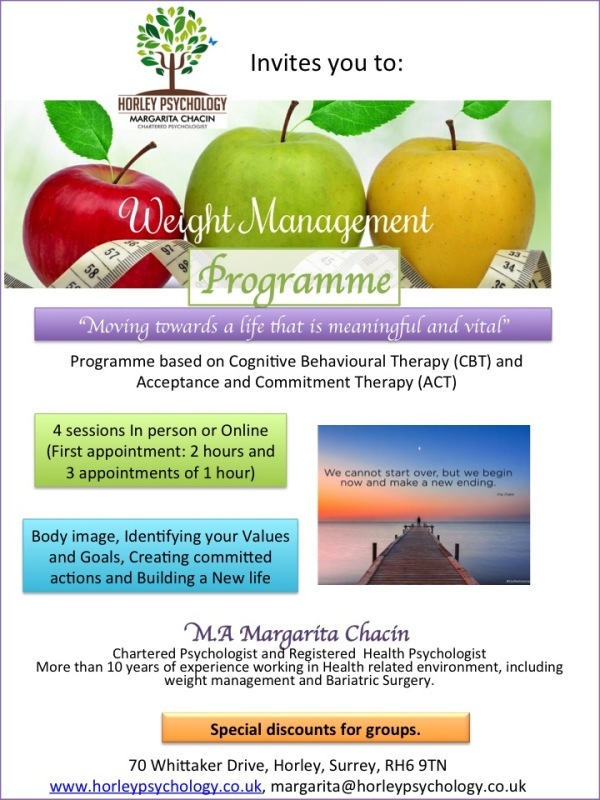 Included: 4 psychological sessions, a folder with all the material and exercises printed and a unique learning experience to help you to change your body and mind.